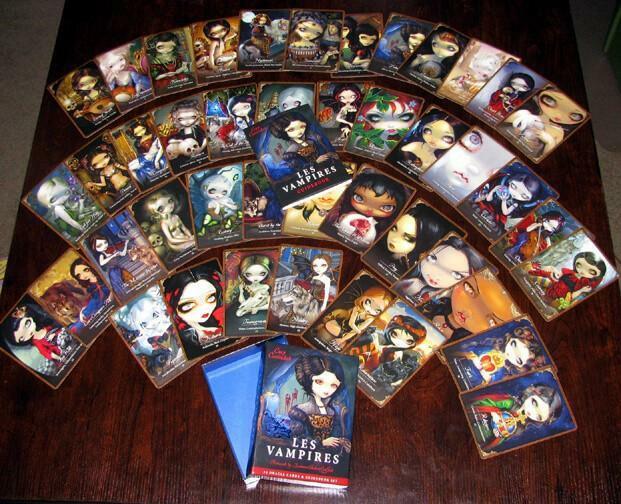 A stunning deck designed for those facing difficult decisions, upheaval in relationships or wishing to move away from draining careers, situations or people. 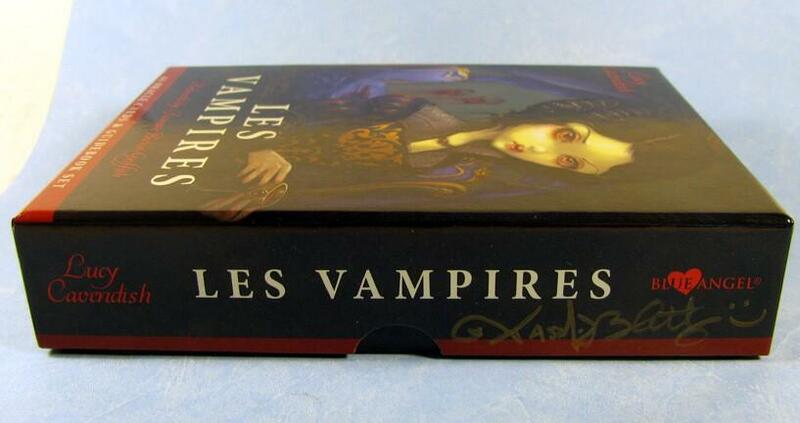 Vampiric energies have often been feared and reviled, but today, the amazing creatures of Les Vampires are proving to be allies from the most mysterious of realms, helping many humans through their own dark night of the soul. 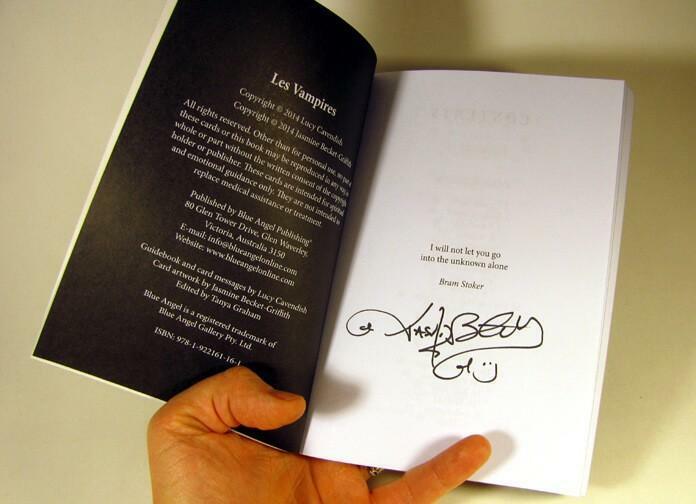 Full of wise guidance, ancient teachings, proven methods of protection, comforting advice and provocative challenges to our flawed perceptions, Les Vampires offers a pathway through the darkest, most troubled times. 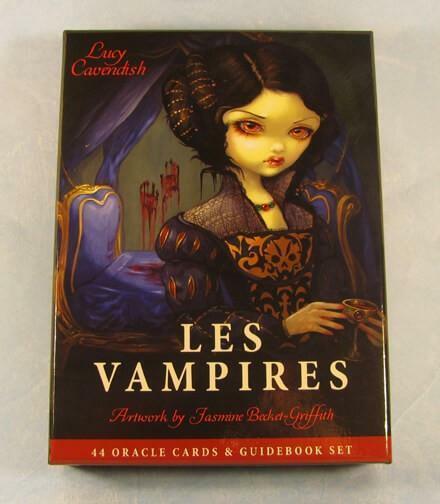 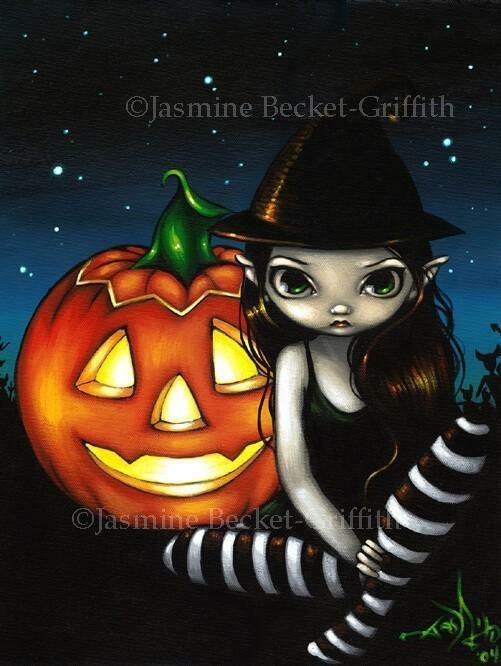 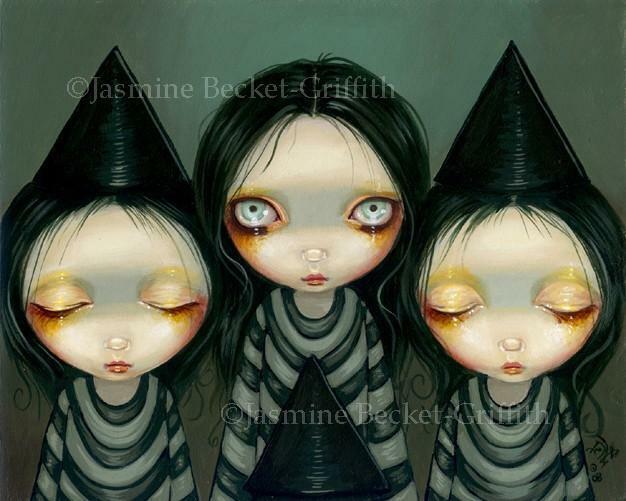 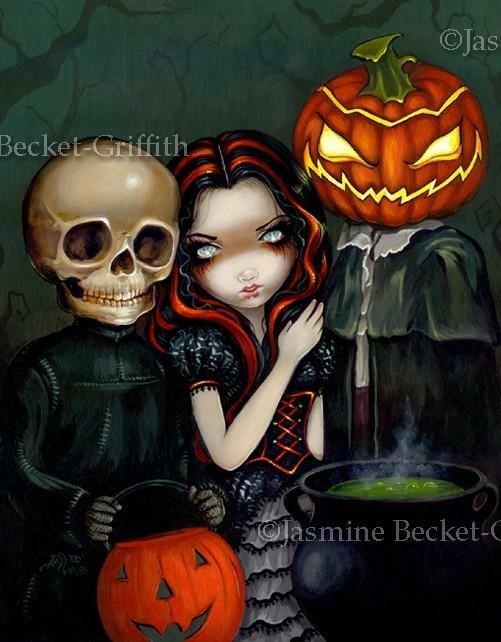 Featuring the award-winning art of Jasmine Becket-Griffith and insightful wisdom channeled by Lucy Cavendish, Les Vampires is a profound oracle to work with for healing our own inner fears, harnessing our power and dissolving the patterns that hold us back. 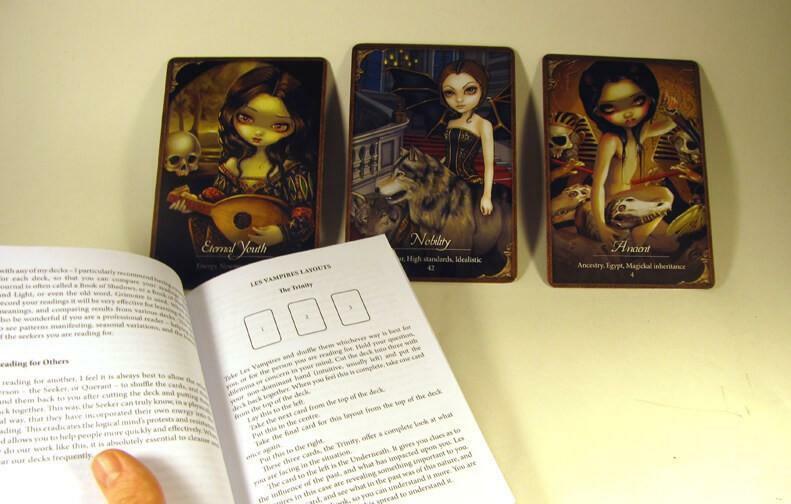 Discerning, elegant, courageous and gorgeous, this is an oracle deck unlike any other you have experienced–until now. 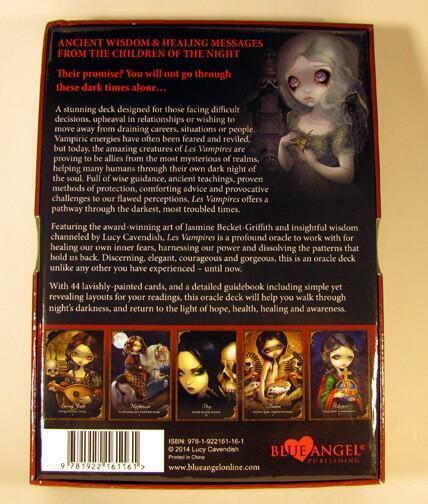 THESE ARE SIGNED COPIES: Signed on the outside of the box and inside the guidebook, by artist Jasmine Becket-Griffith!